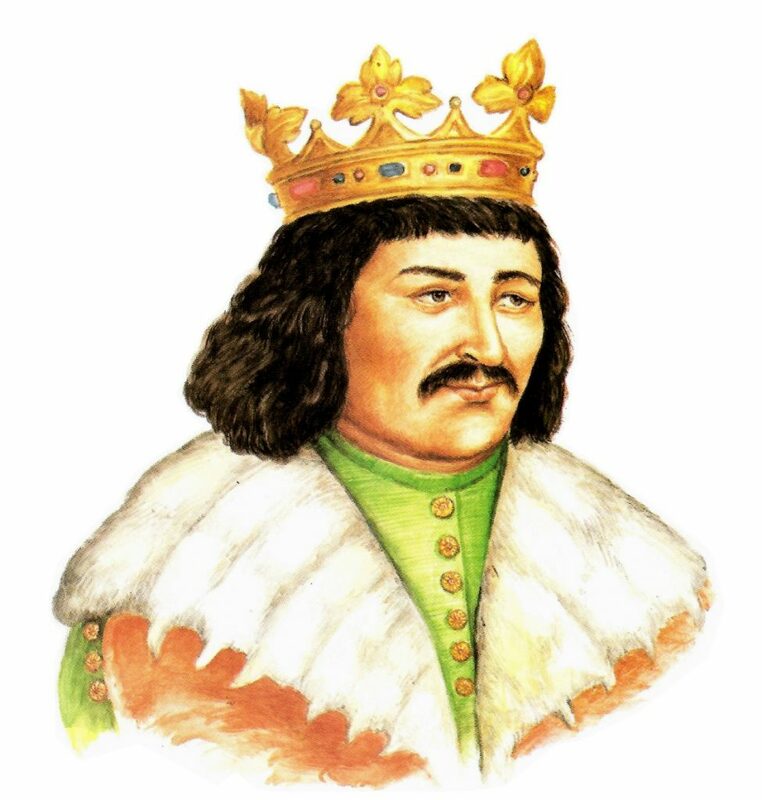 George of Poděbrady was King of Bohemia (1458-1471). He was a leader of the Hussites. He is known for his idea and attempt to establish common European institutions. It is seen as the first historical vision of European unity. George was the son of Victor of Munsterberg, a Bohemian nobleman, one of the leaders of the Utraquists the more moderate faction of the Hussites during the Hussite Wars. When was George fourteen he took part in the Battle of Lipany which marked the downfall of the more radical Taborites. Civil war broke out, but George succeeded in defeating the nobles who remained faithful to Rome. In 1451 the emperor Frederick III as guardian of the young king Ladislaus, entrusted Poděbrad with the administration of Bohemia. In the same year a diet assembled at Prague also conferred the regency on George.